A friend came to supper the other day who said he had exactly the same Aga as mine. He confessed he didn’t think he and his wife made the best use of theirs and proceeded to ask me some questions. I was surprised to find they didn’t even know what the ovens were for: they only used the roasting and baking ovens (although they didn’t know this is what they’re called) and the simmering oven for warming plates. They didn’t use the warming oven at all! I told him they needed to buy an Aga book and that I’d read my Mary Berry one, which came free with my Aga, from cover to cover. He said they had the book but hadn’t bothered to read it. 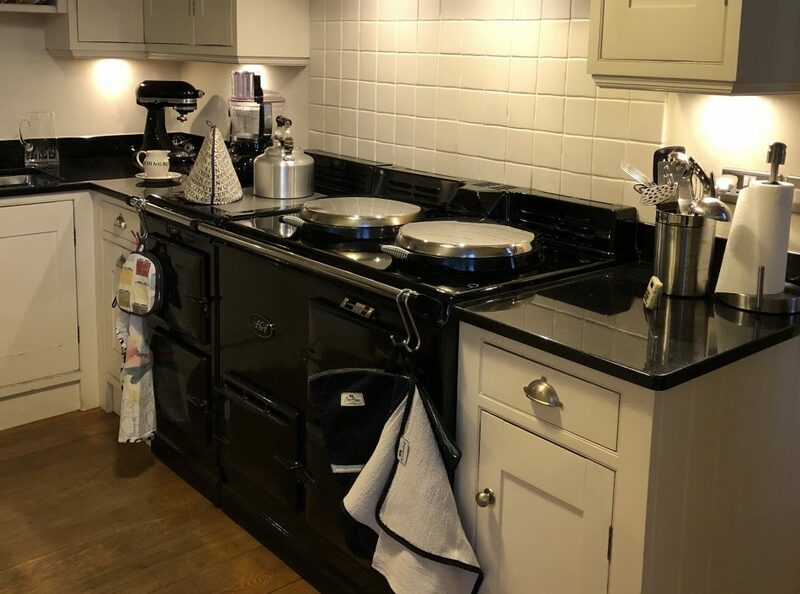 In their defence, they “inherited” their Aga when moving into their house whereas I made a deliberate choice to become an Aga owner and cook and saw it as a kind of project. It made me realise there are people out there who didn’t choose to have an Aga but have got one by default and that they might find blogs like mine useful. I was sorry therefore that the supper I cooked for our friend and his parents, old friends of my husband’s family, was not one of my best. I wanted to use up the pheasant breasts I still had in my freezer and found this recipe. It looked and smelled delicious and tasted good, but the meat was a little rubbery and dry. I find this happens with chicken breasts too and I don’t know what the answer is. What is more, I chose the recipe because it was a slow braise, which in my opinion ought to have ensured tender, succulent meat. On reflection, I think breasts, whether of the pheasant or chicken variety, should not be cooked for very long, so my suggestion for adapting this recipe for the Aga would be only to cook it (in the simmering oven of course) for the initial 45 minutes. Legs and thighs, on the other hand, lend themselves to slower cooking. The dish in the photo above is braised chicken pappardelle. I got the recipe from Yotam Ottolenghi’s Guardian column, and you will see he provides two further slow-cooked chicken recipes. I pounced on the article when I saw it, as I always do when I see the words “slow-cooked”; I immediately think “Aga simmering oven”. I have now made all three recipes and they’re all superb, but today I’m going to tell you how I made the one above in the Aga. Put a large, heavy-based casserole for which you have a lid on the simmering plate. Sear the legs for ten minutes, turning them once, until the skin is dark golden brown, then remove from the pan.